SOMEBODY WISHED ALOUD that July could be twice as long (on Facebook, of course, where summer’s progress is logged competitively, so I see the 1,000 camp-outs, festivals, and bike/bar crawls I didn’t do). It’s an appealing thought, even sweating through sixty-two 90° nights. The calendar being fixed as it is, we made July the longest month purely through high-capacity living. A family visit in Mazama and North Cascades NP in Washington State was not our first pick, but a solid Plan B (parks like Yellowstone and Yosemite fill up quick, way quicker than my extended family can make decisions). This alpine valley is inaccessible half the year, and still feels sparse in the high season—mostly populated by that weird Western mix of cowboys, extreme-sports buffs, Harley riders and affluent retirees. 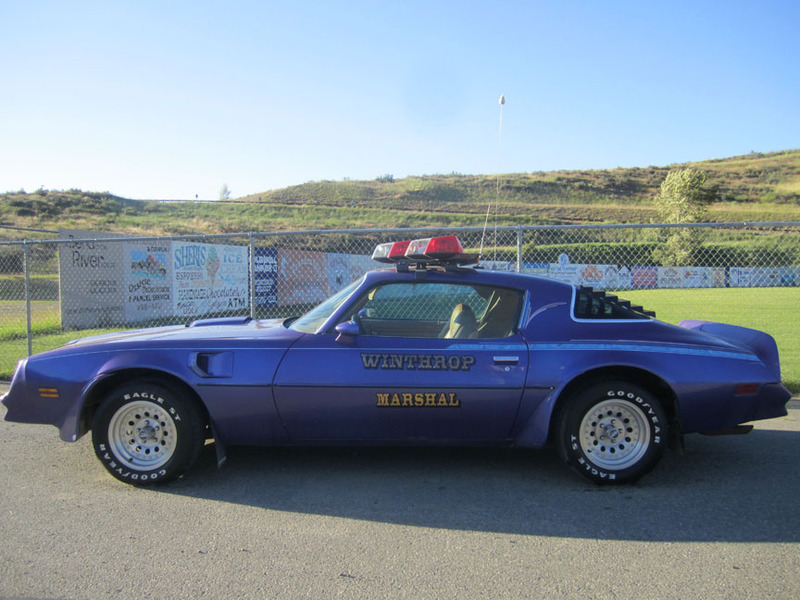 Round here, the marshal drives an IRoc-Z. Don’t these peaks just make you want to yodel? I left Seattle eons ago, so joining the hordes at Pike Place Market (left, with Sarah and my sister Emily buying, like, 10 lbs of salmon) no longer feels like a gimmicky yawn; I see it all anew. Like the brilliant S.A.M. sculpture garden (center, with my brother Ben in front of Richard Serra’s Wake), which I remember as an walled-off graveyard for shipping containers. Our Associated Friends of Ballard—who all live on the same block, considerately, and even have a killer cottage where we can flop—threw us an Independence Day party, finished with a Family Pack of Chinese fireworks (right), all duds except for the Bang Snaps. Four days later we were in Clermont, Iowa, for Xmas In July #4—different family culture (red meat, weaponry, ATVs), different climate (fierce sun, biting flies, minimal shade). Sounds fun, right? This year my grandfather devised a relay race: two teams move empty 2-liter bottles using only yard sticks. Not likely to be a runaway fad, but there was enough absurdity and smack-talk to keep it interesting. Gramps and Johanna, in amazing hats, before the kite flying competition. I won, but when my kite was nearly invisible, the string broke. My cousin and I scoured 10 acres on an ATV looking for it, but the kite seemed bound for another county. Back in Minneapolis, with favorite visitors from Des Moines at Lake Nokomis—another great place to be if you hate shade. Backyard Bananagrams (left, a novel performance with PYRO ZOOTS and PUBIC CLOT) and successful Make Sh!t sculpture experiments: Beer, Detergent, Baby Bottle, Lemon (along with some busted failures: casting an intact whiffle-ball bat and lightbulb using concrete proved beyond our powers). Johanna’s weeks at Urban Arts Academy have produced art by the armload, like a misty shadowbox with butterfly puppets (left). At Highpoint Center for Printmaking for Sarah’s 38th birthday (note the cake, lower-left), a group of us cut rubber blocks to make stamps and practically got kicked out for having too much fun. 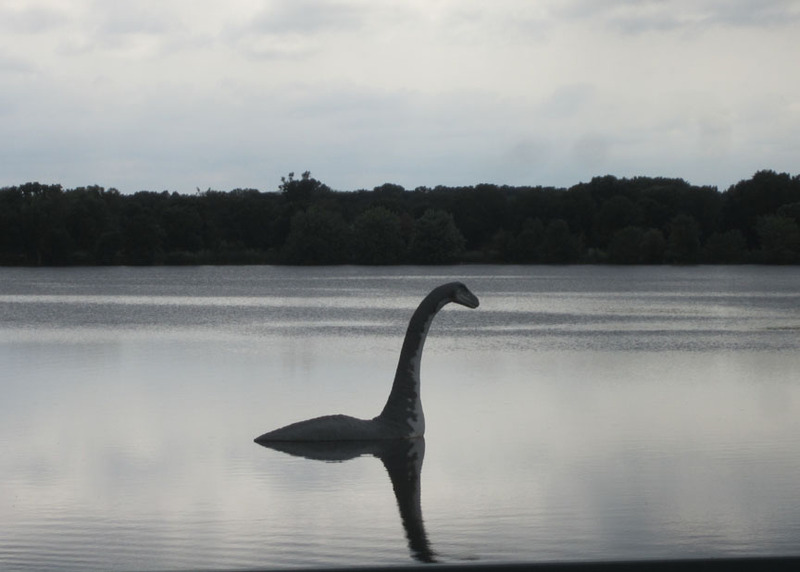 This monster in Lake Hiawatha has its own website. Exhausted yet? I haven’t even gotten to re-roofing my garage (me dressing the part, left). As an able-bodied person, I didn’t relish watching others suffer through my hot, backbreaking work—a position I regretted as soon as I’d sweat through my leather boots. For the interior improvements (right), I called in some low-wage backup. In other unpaid labors, I helped mow the Walker Art Center’s lawn as part of a half-baked performance by L.A. collective Machine Project. 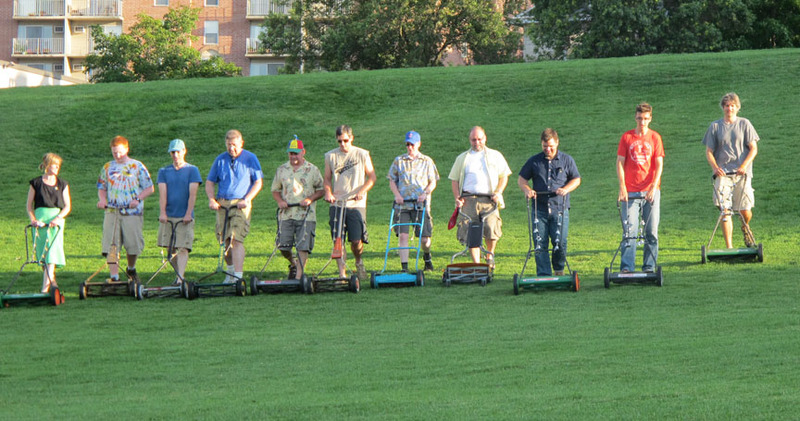 Something about the elaborate ritual of American lawncare? Mastery over nature through technology? The triumph of suburban values? For the performers, it was as captivating as… mowing the lawn. Art Mowing followed by rooftop drinks with your crew. Isn’t Minneapolis grand? NEW PAINT, SHELVING, A COLOSSAL CANOPY and other environmental upgrades are remaking my world (not a monumental task, small as it is). After a decade in this house, its ubiquitous flaws—gerry-rigged fixes, unresolved projects, heinous finishes—have become almost invisible; I only realize how bad it was now that it’s better. I squeegeed the windows for the first time in years; so beautiful I’m ashamed for waiting. Not quite the Agenda-Free Summer we dreamed of after the wall-to-wall weariness of 2010, but there’s more (freshly painted) room to space out and goof off, my perennial wont.